We are in the final days of our Annual Spring Sale, but you can get a jump start on summer decorating with these five clearance items before our summer catalog goes out this weekend. Corn Cob Salt & Pepper Shakers: For barbecues, a Fourth of July Party or for keeping in the kitchen all year long as a reminder of sweet summertime. American Flag String Lights: Show your American pride and include a little lighting in your summertime celebrations. Moose Birch Thermometer: Be prepared for any type of summer weather with this handcrafted thermometer, a must-have for Mainers and a great gift for your tourist friends and family. 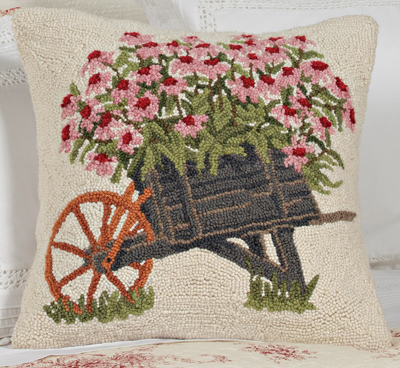 Floral Cart Hooked Wool Pillow: Hooked wool pillows are always in style, and this one easily takes us from spring to summer with pink blooms and a nod towards outdoor gardening. 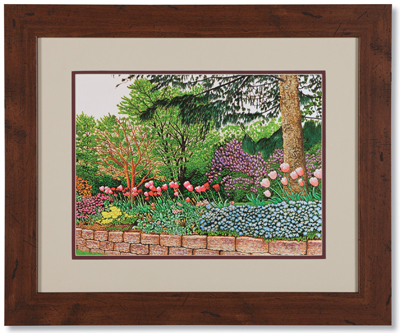 Tulip Garden Print: A thriving garden to rival yours, or as a testament to the sights, sounds and even smells of summertime. These home accents aren’t guaranteed to be around for long, so shop them and our entire Clearance selection here. 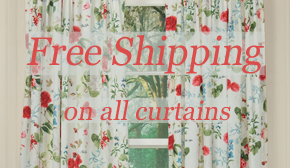 And don’t forget, you can get free shipping on curtains during our Spring Sale through May 11th. This entry was posted on Wednesday, May 10th, 2017 at 9:07 am	and is filed under Americana, Apartment, Art, Bathroom, Bedroom, Decorating, Dining Room, Lamps and Lighting, Outdoor, Pillows, Seasonal Decorating, Thematic, Wall Decor, Weekly Spotlight. You can follow any responses to this entry through the RSS 2.0 feed. You can leave a response, or trackback from your own site.